At Yoga 4 You, our mission is to offer our clients opportunities to maintain and improve their health and to encourage them to become more engaged in their lives. To this end, we are very excited to offer a variety of therapeutic services to our clients. Whether your goal is to ease the ache of sore muscles, relieve chronic pain or to relax, we know our Thai Yoga Bodywork sessions will meet your needs. In addition to leaving you relaxed and open, you will notice a difference in your yoga practice after one of these sessions--AND our members receive 10% off. Daytime & Evening Appointments Available. Book Yours Today! Above are a few examples of some assisted stretches you might experience in a Thai yoga session. Each session is customized to the individual. Think of your favorite yoga adjustments and then imagine them all being done to you while you relax on a comfortable cushion. Now you have an idea of what Thai Bodywork is all about. It can provide amazing results to reduce stress, alleviate pain, and create profound feelings of relaxation. Your instructor will position you in a variety of yoga-like positions during the course of the service. This assisted stretching releases tension in the body and increases flexibility. The service is conducted on a cushion on the floor and you remain clothed throughout the treatment. We recommend loose & comfortable clothing. Typical availability includes Mondays 11-2, Tuesdays 4-7pm & Wednesdays 5-8pm. Other times may be available by appointment only. Email us if none of these options work for you. *Those with autopay memberships receive a 10% discount automatically when booking. In order to make it as convenient as possible for our clients, we offer online scheduling for all therapeutic services. It's very similar to the process for reserving a class. Find available times and schedule your service by clicking on the button above. Online booking is available up to 24 hours prior to any appointment time. If you would like to book an appointment within 24 hours, you can email us to confirm availability. All clients are required to fill out a health intake form prior to any therapeutic body work being done. In order to facilitate your session so that you can get the most out of your time, you can download the health form here and fill it out prior to your session. We recommend you arrive 10 minutes prior to your scheduled session in order to guarantee you receive the full time allotted for your treatment. Bring your completed form with you. Laurie's personal yoga practice began about 12 years ago by attending a Community Ed class with her daughter. The rest is history. After developing a regular practice, she received her 230hr RYT certification from Yoga Center of Mpls in July 2016. She is currently working towards her 500 hr RYT through YogaFit with a focus on Yoga for Athletes. Laurie has also worked with renowned yogis Simon Park, Max Strom and Tanya Boigenzahn. Her desire to improving her clients health and wellness also led her to be trained & certified in Reiki and Thai Yoga Body work and she is excited to bring Thai Yoga Bodywork back to Yoga 4 You! Her commitment to improving the health and wellness of those she serves continues to motivate her to learn and grow. She is forever grateful to have the opportunity to share her knowledge and skills to help her clients reduce stress and create space for more healthful living. Melissa took her first yoga class in college but opted at the time for fitness classes that were more intense. 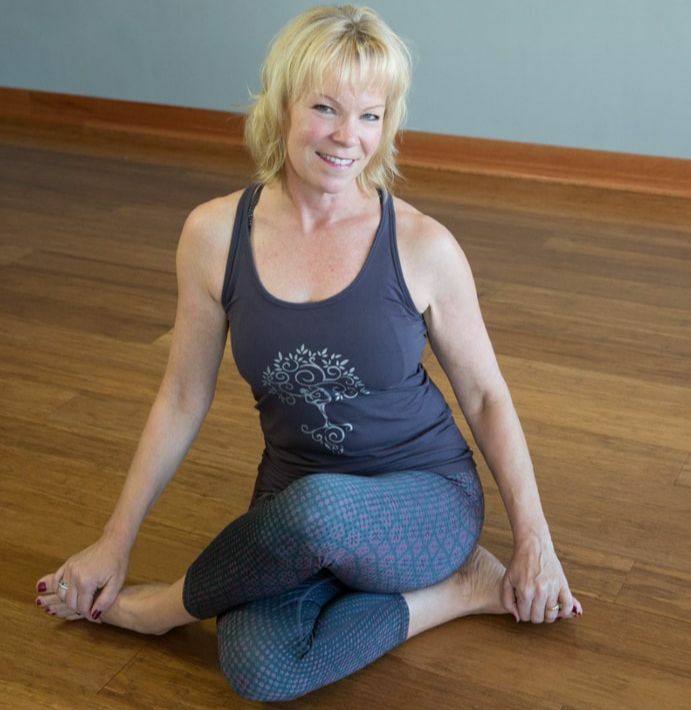 Later, when a 30 day yoga challenge eliminated her chronic back pain, she knew yoga would always be a part of her life. Fueled by a desire to share the physical, mental and spiritual gifts yoga has offered her, Melissa completed her 200 hr RYT at Devanadi School of Yoga & Wellness. Committed to constant learning, she is currently working towards her 500hr RYT and loves sharing the joy of yoga with students of all levels. Melissa is also trained in Thai Yoga Bodywork and is excited to be offering personalized sessions at Yoga 4 You! Anyone who either forgets or consciously chooses to forgo their appointment for whatever reason will be considered a “no- show”. They will be charged for their “missed” appointment and future service will be denied until payment is made. If you are unable to give us 24 hours advanced notice you will be charged 50% of your appointment. The amount must be paid prior to your next scheduled appointment. Appointment times have been arranged specifically for you. If you are late, your session may be shortened in order to accommodate others whose appointment follow yours. Depending upon how late you arrive, your therapist will then determine if there is enough time to start a session. Regardless of the length of the session actually given, you will be responsible for the”full” session.